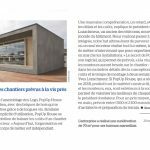 Among the wide variety of insulation materials on the market, PopUp House selected graphite expanded polystyrene to use for its building system. How does this material fit in with a commitment to sustainable development? This material is one of the best insulators on the market: for example, to have the same performance as 30 cm thickness of EPS (PopUp wall thickness), you would need 37cm of wood fiber insulation. This performance does not translate into added cost. On the contrary, EPS is one of the least-expensive insulation materials on the market. Thanks to this choice in material, PopUp House is able to accomplish its ambition of making the passive house accessible. 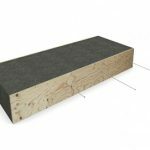 EPS has another advantage: it is delivered in the form of rigid, lightweight insulation blocks, making for a quick and easy installation. It doesn’t shrink or contract over time. This type of polystyrene is composed of 98% air. The remaining 2% comes from the upcycling of a product derived from oil refining: naphtha. Since it is unusable as fuel, it would become waste if it wasn’t used to make polystyrene. EPS is created in a process where tiny balls of styrene are expanded with water vapor (without adhesive or solvent). The base component, the monomer styrene, is a naturally-occuring substance found in plants. Contrary to popular belief, EPS is not bad for your health or the environment. The material holds a Fiche de Déclaration Environnementale et Sanitaire (FDES – product lifecycle analysis) in France. It is inert, stable over time, non toxic, and non pollutant. For these reasons, it is often used as food packaging since it does not cause allergic reactions or sickness. Similarly, it does not attack water or soil. No protection is required when handling EPS. The EPS used by PopUp House is also fire-resistant: it will therefore not ignite during a fire and does not emit any gas. Today’s great environmental concern is the reduction of our carbon footprint. 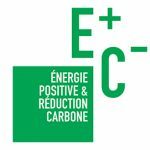 In this challenge, EPS represents an advantage: at equivalent thermal performance leves, the carbon footprint of a house insulated with EPS will be better than that of a brick house and comparable to that of a wooden house insulated with wood fiber. Little waste: instructions on how much EPS to cut are provided in advance by PopUp House in order to reduce unused excess materials. PopUp House also developed a hot wire-cutter tool to eliminate waste created during the cutting process. 100% recyclable: every year, 7 000 tons of EPS are recycled to create new products. The EPS used by PopUp House contains between 5 and 15% recycled EPS. Learn more about the life cycle of a PopUp House. What is the price of a PopUp House? I want a PopUp House. What do I have to do ? Where are the PopUp Houses produced ? Can I customize my PopUp House? Where is the PopUp House concept available? How can I build a bio-climatic house? What are the thermal regulations and quality certifications ? Can I build my PopUp House by myself? What finishes can be used for the interior? What finishes can be used for the exterior? How is electricity and plumbing installed? What finishes can be used for the roof? Can we add a second floor ? What type of foundations can be used? Where does PopUp House come from? What is the PopUp House concept? How does PopUp meet the 2020 Thermal Regulation requirements? Is PopUp House a Net-Positive Energy building ? What is the thermal performance of a PopUp House? What is the building lifespan? Does a PopUp House resist fires? Is a PopUp House free of rodents and insects ? Does a PopUp House resist extreme weather conditions ? Is PopUp House certified and insured? What is the life cycle of a PopUp House?